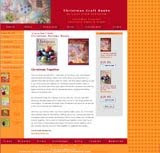 This website was originally designed by TLCgroup.net. It is currently being updated by the office staff at WDM Christian Church. Backyard parties is our business and we love it! Our customers are our advertisements so we want you to be completely satisfied and very happy with our performance and your experience. We deliver fun and there is lots of it to go around when you rent a bounce house for your next party or get-together. The initials B-A-N-T stand for Building Antibodies and Neutralizing Toxins. It is a modality of holistic health care that focuses on helping the body recognize unhealthy substances, such as toxins, chemicals, and microorganisms in its tissues, with the hope that antibodies will be made and these substances eliminated from the body.